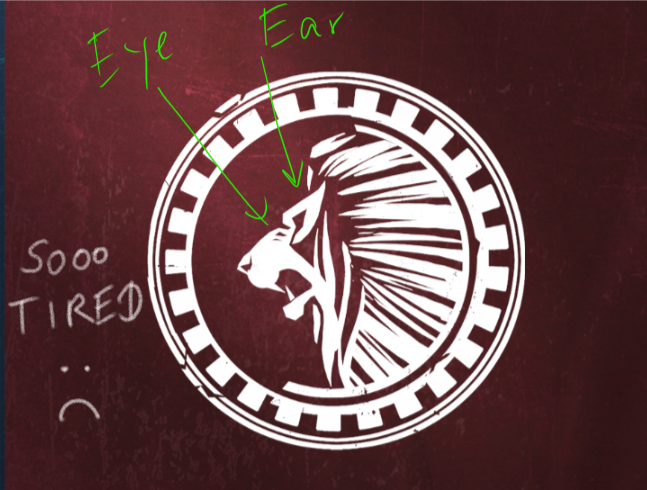 This month we have some background info on our two factions the Vulpin and Ontari! Some of you may have already chosen which faction you want to align with, but maybe you’ll change your mind after you find out what they’re all about. As an added bonus, we are also including some background lore on the Solumn Empire and what led to their fall. We hope you enjoy this month’s teaser and let us know what you think! The southern Hunan made up the ethnic majority of the Vulpin faction and their power centered in the Dharan area which originally lies south of the Harth continent. In the past, the Dharan region of Harth was known for their large agricultural fields and the Vlupin considered water their most precious resource. It was obvious their banner colors would be blue to reflect this important natural resource and the blue colors are still used to symbolize the Vuplin to this day. The Ontari were formed in the Urabos area which is originally located north of the Harth continent.. In the past, Urabos was an area with high mountains and large forests. As a result, the Ontari had many warriors who were skilled in hunting and considered honor and trust one of their most important virtues. They liked using the color red, which symbolized the heart of the quarry. This is shown in their deep red banners. Before the establishment of the Solumn Empire, The Ontari had a large territory and powerful army. They dominated the rough mountains and rapidly grew by absorbing forces both great and small. Eventually, the Solumn Empire was created with the Vulpin and both ethnic groups started to intermingle. Over time, the Ontari was no longer a single ethnic group, but all people who lived in the North part of the Solumn Empire. The violence within the Solumn empire became so great that those who originally flew under the Ontari and Vulpin banners started to separate for their own safety. Those in the Solumn Empire who wanted to search for immortality eventually brought upon themselves an evil corruption. A monster created with the same technology called the Black Herald began to ravage the land of Harth. In an effort to avoid the civil war and destruction by the Black Herald, many citizens sought refuge on the floating island of Nousgard. The remainder of the Vulpin and Ontari are the descendants of those who escaped Harth after its collapse. Since they escaped the curse of Harth, they were able to establish a new civilization with the people of Ontari in Nousgard. However, as they fell on Harth with the Black Herald’s defeat, the curse has been spreading to the Vulpin and Ontari once again. CM Avalace, Mythion, Rosehj and 6 others like this. Ontari all the way! Because red is love and I like lush forests and mountains. Ooooooo. I want to hear more detail about the Solumn Empire. It’s rise and fall. The movers and shakers. Thank you for the teaser! As far as sides I don’t know which I would choose. Maybe Vulpin because of my love of water. But the warriors of the north strike up a battle pride motif that I love. Good thing there is time to decide! As an aside, I like that the factions are not portrayed as “evil” and “good” or “oppressors” and “rebels”. At least not that I can tell from a PC standpoint. It always lead to imbalance in numbers from my experience. Enjoyed that read. Thank you @CM_Richter. A hard choice to make. Less monthly filler posts more important information about our version. Probably going Ontari to be fair, sadly gotta wait for this. yea pumped. I play wow and am horde of course. probably keeping my red blood and going with ontari. can't wait for A:IR to come out. Beta Key plz! Mountains and forests. Lion. Red. I see a kitty as your profile pic too. you must be going ontari! Um, that's a Lion. the "Eye" is pointing at the nose crinkle, and the "Ear" is pointing at the Eye. Just found this game and absorbing the info on it. So far looks really awesome and agree I love the fact that neither factions are designated as "good" and "evil" but rather just different societies with different beliefs. Bravo creators! Well, I guess after a tenth time or so I could see it that way. so this game is faction based like a Aion right? !